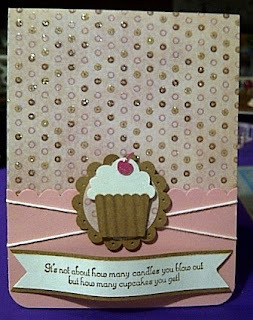 Here are a few more cupcake cards I have made the last week or so. This first one was a challenge that Shannon posted on Scraptures...this one was a challenge for me, I have never made a card with so much empty space at the top, I kept wanting to add something there...but I like how it turned out. 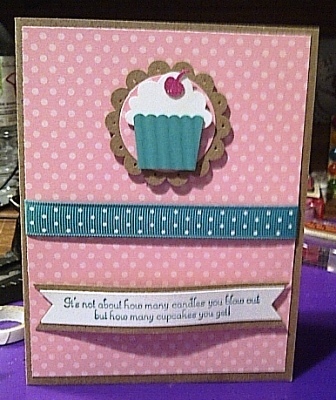 The DP is Love Letters paper pad from the Scraptures Feb card kit. 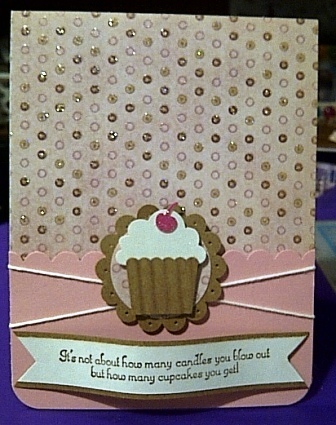 The second card is one I made for our girl cousin (+ Brian) get together last weekend. Love your cards (as usual) Donna!